Flowering Jacarandas in Grafton Photography. Travel Photographer Thomas Hearne has just published a new set of Flowering Jacarandas in Grafton stock photos.Flowering Jacarandas are the motive behind the annual Grafton Jacaranda Festival. 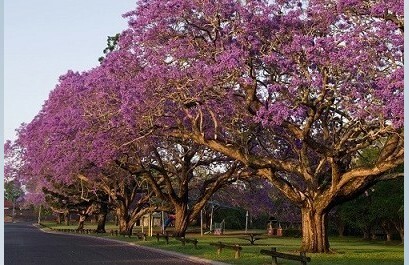 A native of Brazil, hundreds of Jacarandas Mimosifolia were planted along the streets of Grafton NSW in the 1880's. Their purple flowers and petal carpets dominate the Grafton landscape in October and November each year. This year's 2014 celebrations will mark the 80th anniversary of the Grafton Jacaranda Festival.Thomas Hearne Travel Stock Photography.